Last August, when Petaluma's Robert Coleman was diagnosed with Stage IV prostate cancer, he knew it was the beginning of a long battle. 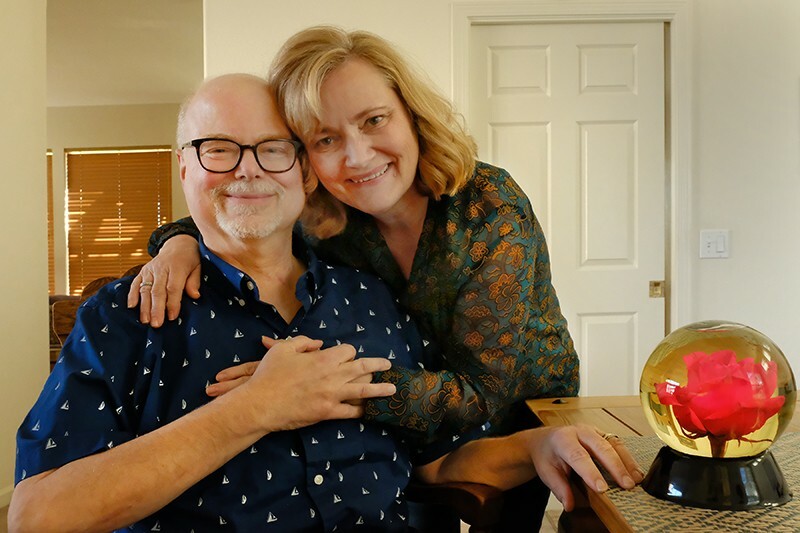 What he and his wife, Deborah Price, could not have guessed was that the struggles ahead would become the background to a love story so moving it would end up catching the attention of a national cancer organization and a Hollywood superstar. Coleman's cancer was just the beginning, it turns out. The doctors later discovered a tumor on Coleman's spine. Months of painful treatment and therapy followed. Looking back, Coleman says he'd never have made it through without his wife, holding him, studying everything she could about cancer, arguing with doctors, challenging him to keep up his spirits, even throwing a party where friends could tell him how much he'd brought to their lives. Earlier this year, the Prostate Cancer Foundation announced its second annual True Love contest, seeking true stories of cancer survivors describing those who cared for them during their illness and recovery. From hundreds of submitted stories, Coleman's was selected by Kristen Bell, star of the TV show The Good Place and a board member of the foundation. As a way of honoring Price for her selfless commitment and lifesaving work on her husband's behalf, Bell sent Price a "caregiver's package" with items the actress selected personally. In Coleman's story, titled "Love Without Compromise" (which can be found at pcf.org/bio/robert-c), he writes, "I had never experienced such unyielding unconditional love. I couldn't bear the thought of leaving her and our daughter behind. I resolved to get much tougher and stronger myself, to take complete responsibility for my experiences, to give it everything I had. I realized that love in a relationship isn't a given in this world. You have to make it real every single day. While both of you are responsible for the relationship, it's up to you to step it up on your own side. Even when your body is failing you. Even when you have cancer." 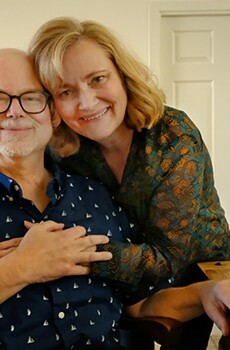 Coleman's story, full of praise and love for his wife, concludes with this final, lump-in-the-throat realization: "Many years ago when I asked Deborah to marry me, if I knew then what I was going to eventually put her through, I might have thought twice about my proposal. Somehow, though, I suspect if Deborah had known about my future circumstances so many years ago, her answer still would have been 'Yes!'"—D.T. Sunsets. Beaches. Canoodling in convertibles atop soaring cliffs above the crashing surf. Yeah, this romantic vignette is as typical to the Sonoma Coast as it is statewide, yet there is nothing inevitable about California State Route 1. In the beginning, before any Eve or even Steve glimpsed the evening sunlight glinting off lapping waves (this is prehistory we're talking about), there was no two-lane ledge etched into the bluffs above Bodega Bay and points north. Highway 1 was patched together partly from a discontinuous jumble of roads and given a public boost by Depression-era funding and public works projects, which also improved and made accessible Sonoma Coast State Park beaches. It's a passion project, a work in progress, like any relationship in the long haul. Beaten by salty winds, hounded by the leading edge of atmospheric rivers, and bedeviled by landslides, Highway 1 is an ongoing indiscretion that's patched up, made sound and ready for new recruits who drive, park and enjoy the fruits of the nexus of climate, time, labor and history, with nary a blip of a thought about all that. Maybe that's what love's all about.—J.K. Once upon a time, nice ladies didn't go to bars. But sometime in the 1970s, the story goes, enterprising bar owners hit upon the idea of adding houseplants, cozy chairs and rays of light into former holes of watering to attract the other half of the population. And thus the fern bar—and lamentable drinks like the Harvey Wallbanger, the lemon drop and the mudslide—was born. The trend faded as the '70s turned into the '80s, but Sebastopol's Fern Bar has rediscovered the concept. The decor—beautiful and not at all kitschy—is replete with ferns, but there's much more to it. It takes the idea of a fern bar—homey, comfortable and plush—and gives it a modern update that isn't retro but evolutionary. Of course it wouldn't work if the drinks and the well-matched food menu weren't good (and on par with their prices). They are. It's all good. 6780 Depot St., Ste. 120, Sebastopol. 707.861.9603. fernbar.com.—S.H. My boyfriend and I wanted something new to do a few Fridays ago, and since I am one of those hated yoga enthusiasts, I coerced him into trying out a couple's yoga class at Soul Yoga & Wellness. Neither of us put much thought into what the class would entail, but we did know it would probably be better high, which contributed to us being a little late. But we figured if any place would be forgiving of people showing up late and high, it would be a yoga studio. After hurriedly laying down our mats, the teachers, Mark and Dana Falls, a married couple who are also couples' therapists, told us this would be a very intimate class where we would also be encouraged to talk to each other. Our first move was leaning into each other back to back and standing up together. This sounded like a simple feat, one Mark and Dana executed easily. My boyfriend and I could barely lean into each other without one of us falling to the side. The couple next to us, in their late 50s, were also struggling: "Richard, you are leaning too much into me, you are crushing me Richard." Richard replied that he did not, in fact, think he was leaning into her at all. The rest of the class proceeded similarly, with a lot of fumbling and occasional exciting successes (few and far between for Richard and his wife). There is something really intimate about having your sweat drip onto your partner's face that forces you to reach a new level of closeness, and repeatedly failing at something together is also surprisingly bonding and honestly very funny (or perhaps that was just the weed). At the end of the class, after releasing endorphins and feeling very relaxed, Mark and Dana encouraged us to all kiss our partner. Shyly, I leaned in for a kiss (I am not huge on PDA), and heard Richard comment loudly on the sound of our kissing: "Sounds like someone sludging through mud." A perfect end to a fun Friday activity. 2700 Yulupa Ave. #15, Santa Rosa. 707.696.4382. soulyogasr.com.—A.M. David Luning definitely has a way with a good, sad song lyric, as the world learned during his time on American Idol in 2014. 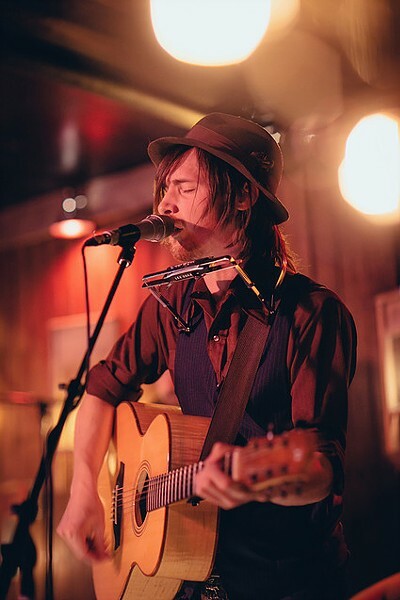 Just give the Sonoma County singer-songwriter a tune about heartbreak and regret, and his soul-wrenching voice will wrap around each word like ivy on the tombstone of your long lost love. Take "Another Piano Song," in which he tries desperately to get through to a lover who's disappearing into depression and distance. The ache in Luning's voice, pitched high and fused with a palpable sense of love and devotion, is so deep it sinks into your subconscious and stays there. Even on the relatively light-hearted "Whiskey Bottle," a list of failed relationships so hilariously bad you can't help but laugh, the underlying theme is heartbreak, heartbreak, heartbreak. "Women come, and then they go / Why they leave, I just don't know / Well, another one just walked out the door / I got no gosh-darn-luck, baby, that's for sure." And it doesn't even have to be a relationship for Luning to find a good grief-filled theme for a song. 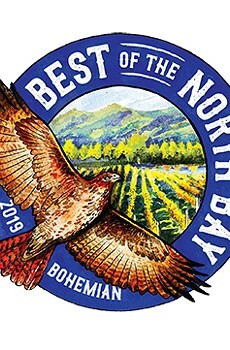 In "Northern California," it's his home town he's aching for, with lyrics like, "Oh please return me to my garden / Down on my knees, I'm beggin' / Please, take me home / Northern California, I miss you." The point is, if you're feeling blue and want to hear some music that will remind you that, for all your pain, there are those who are feeling it even deeper (and in rhyme), David Luning's got a song (or three or six or ten) that will certainly be just your cup of whiskey. davidluning.com.—D.T.